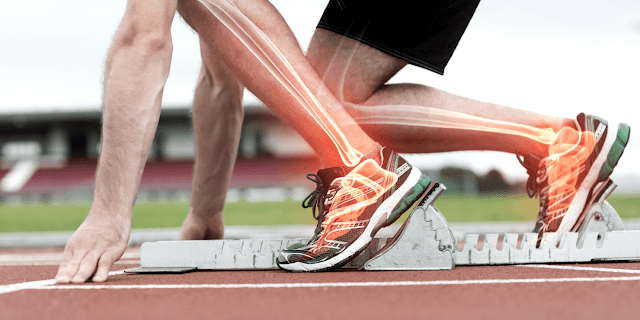 How to Maintain Bone Health With Karote. On a recent research note that natural dye contained in the plants can help avoid bone loss in elderly men and women. research conducted by ARS (Agricultural Research Service), published in the journal online in The American Journal of Clinical Nutrition. A famous study conducted by two experts (scientists) namely, epidemiologist Katherine Tucker and also Jean Mayer USDA Human Nutrition of the Research Center on Aging (HNRCA) at Tufts Unifersity at Boston, USA. Research-research that has been conducted consistently indicate that the intake of fruit and vegetables is good for your bones. biological antioxidants in fruits and vegetables such as carotenoids, protect cells and tissues from damage due to free radicals present in the body. Certain nutrients from plants can protect bones by reducing exposure to oxidation and prevent malicious destruction of bone or bone absorption of calcium in the blood. The researchers examine the potential influence of intake of some compounds include beta-carotene, alpha carotene, beta carotene, beta cryptoxantin lycopene, lutein and zeaxantin, along with individually or combined against minerat density found in the bones. Research done by observation of the changes of bone mineral density at the hip bone and loin belongs to the volunteers was on average 75 years old who participate in Framingham Osteoporosis Study. And if on the count-count among volunteers who join such research is as much as 213 men and also followed by 390 women and studied for a period of over 4 years. During the 4 years of observation, carotene is linked with the prevention of loss of bone mineral density at the hip bone and loin tudalng man on man. There is no significant influence on bone-other tlang observed. The results of this research reveals protective influence of carotene lycopene against damage especially bones in the elderly. The researchers concluded that there are influential in the protection derhadap carotene bone damage.